Join an international community of designers and creative thinkers for this outside-the-box conference, taking place November 5-8 in Berlin. With multiple venues, full-day workshops, inspiring speakers, and focused side events, this event is sure to get your creativity flowing. 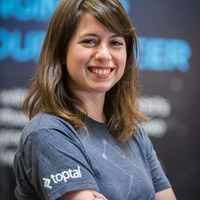 Jenny Shen, a Toptal designer and member of the Toptal Speakers Network, will close out the main event with her talk Build Bridges, Not Walls – Design for Users Across Cultures. Join Jenny November 7 at 5:15pm to learn more about what it truly means to think multiculturally in design and UX. There are multiple ways to participate in this conference. For more information and to RSVP, please see the official website.